There is absolutely no M.S.G. in any of our curries! These meat dishes are prepared fresh daily with the finest spices and herbs from Sri-Lanka, the Mediterranean Region and South East Asia. All Meat items are served with rice and two complimentary sides of vegetables. Lamb and Beef orders are $1.00 extra per serving. Extra sides of vegetable are $0.75 per serving. 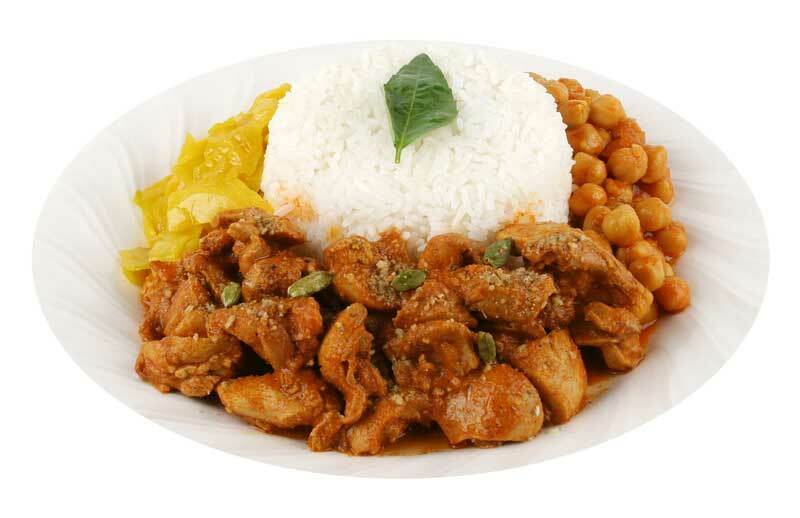 Chicken thigh in an original curry sauce richly flavored with fresh ground herbs and spices. 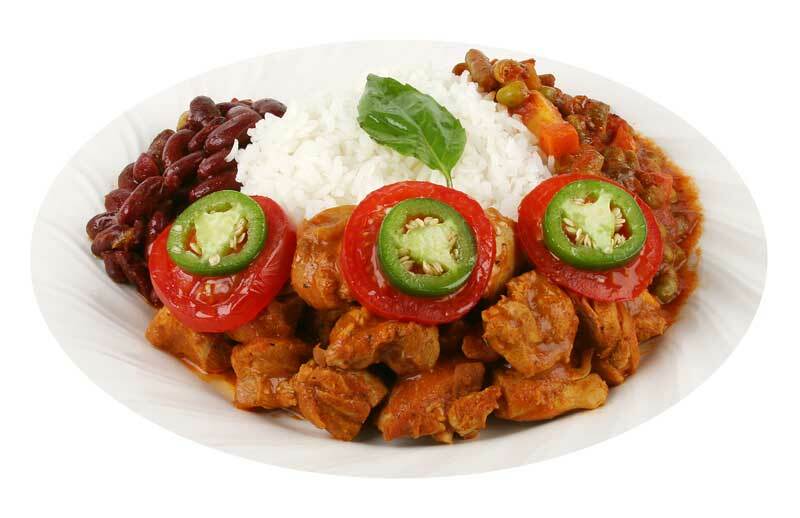 A majestic meal made with our house blend masala sauce with fresh tomatoes and green chilies on top. I can’t believe it’s not butter chicken! This twist on an Indian classic has all the flavors that you expect from a Rice’N Spice dish without the calories of butter! Inspired by south East Asian flavors, this curry dish infuses the flavors of curry, basil, and coconut milk. This spicy dish will make you sweat in a good way! 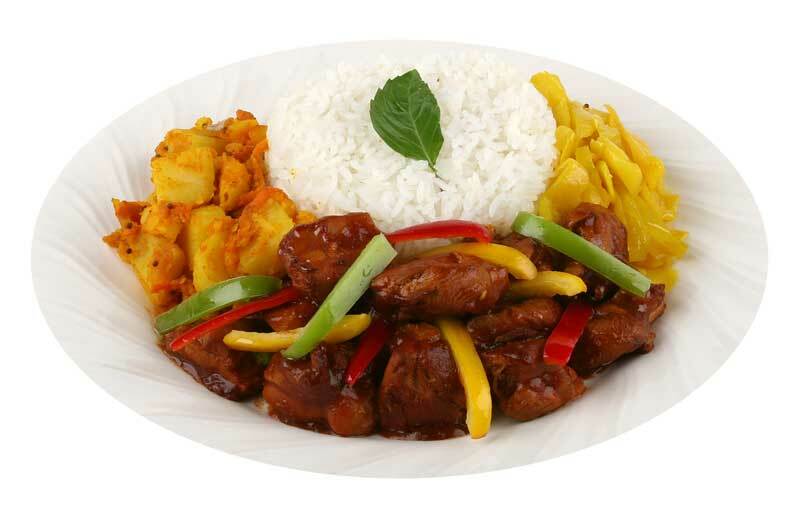 Dried chilly and chicken thigh in an exotic Rice’N Spice original sauce made with a sweet blend of soy sauce and oyster sauce. 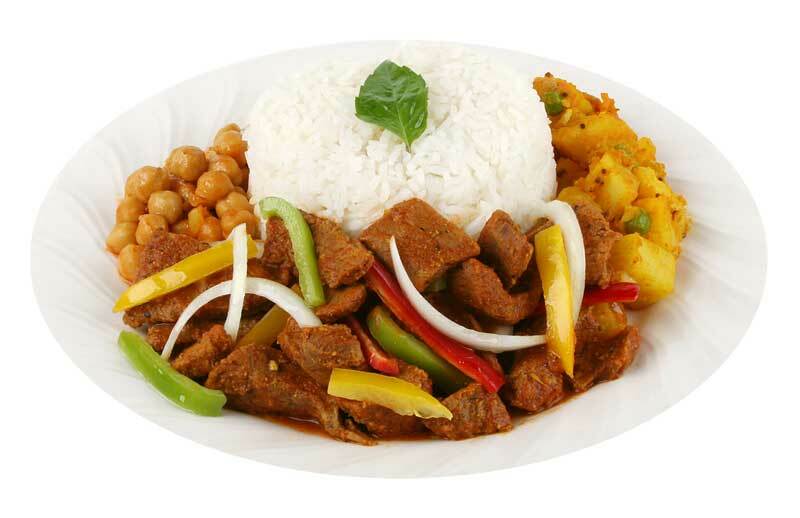 Tender pieces of beef tender loin and Vindaloo sauce made by combining nearly a dozen different herbs and spices topped with colorful vegetable. Rotisserie chicken marinated over night in an original Rice’N Spice yogurt based sauce. 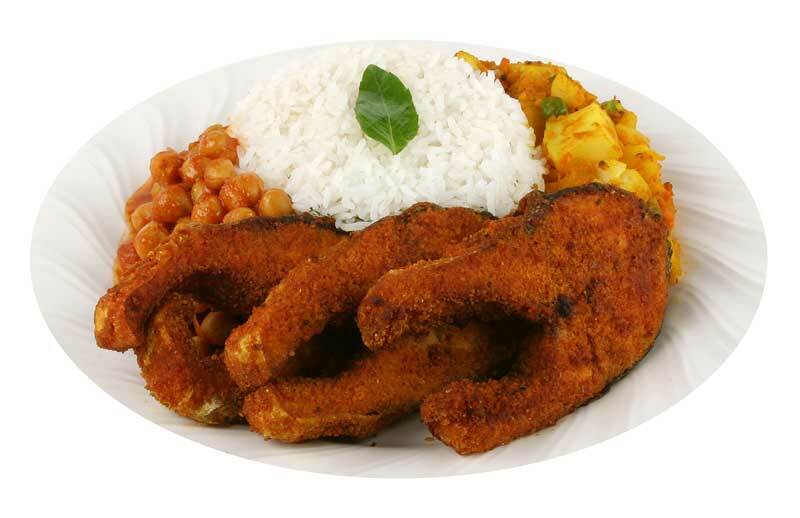 Breaded Wild Pink Salmon served along with Rice `N Spice specialty curry sauce with variety of herbs and spices. 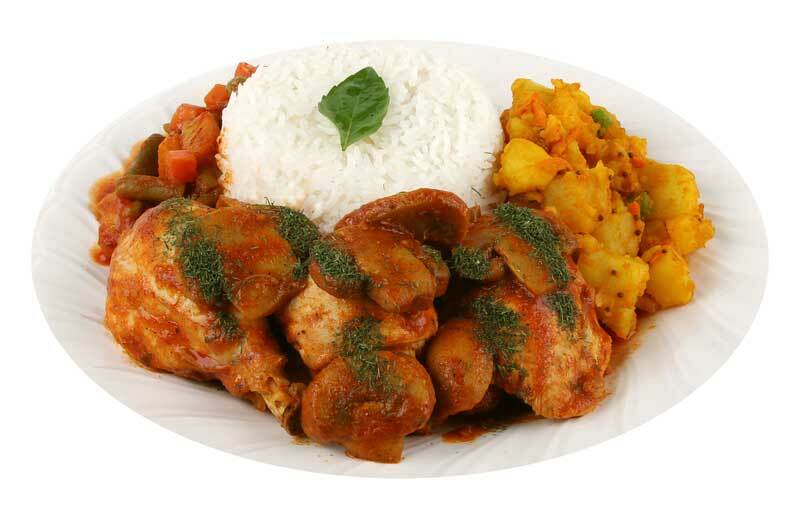 Chicken legs prepared in a light and delicious tomato sause with mushrooms and orageno. 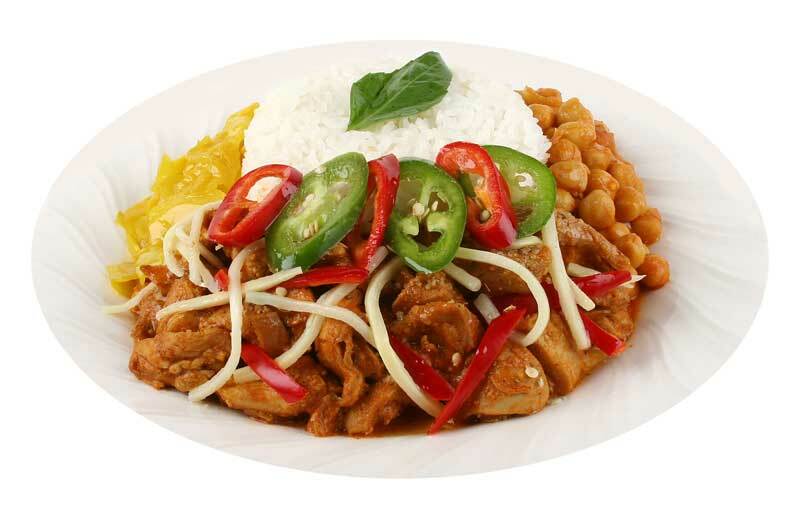 Tender and spicy dish prepared with extra lean pork buckeye. Always fresh, high quality Australian AAA lamb leg prepared with a special blend of mild spices. 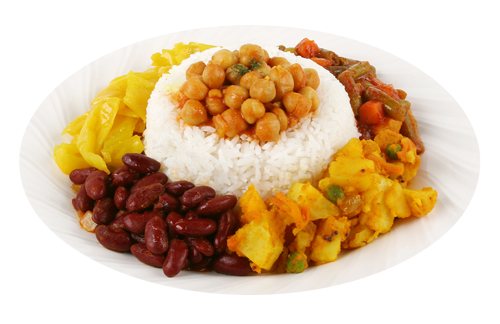 All vegetarian orders are served with rice and are 100% vegan and gluten free. 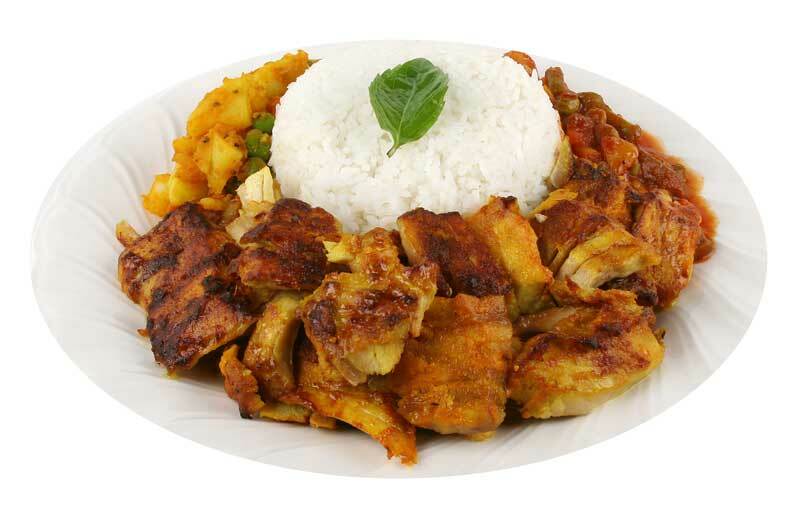 Healthy and colorful, our vegetable dishes are unique to Rice 'N Spice with a combination of flavors from Turkey and Sri-Lanka. This curry is a mild blend of spices and herbs in a tomato sauce. This is not just chili beans! Just enough cayenne pepper to make you sweat but not so much that you can’t taste the distinct flavors of spices like cinnamon, coriander and cumin. 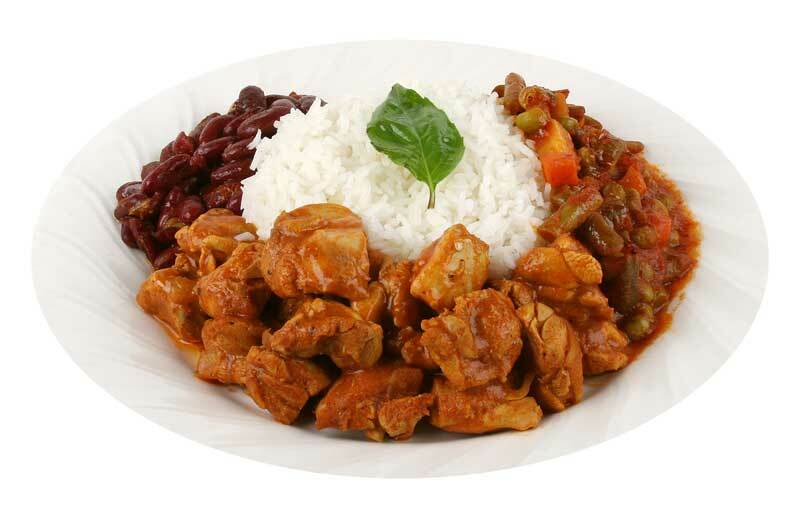 Cooked with a hint of coconut, this side dish is a great contrast to curried meat items. This signature dish is prepared with pan fried carrots and spices mixed with peas and potatoes. You can call it DAL, you can call it ADDAS, but you can’t find this anywhere else! This protein rich, non curry dish is prepared with Red Lentils with a touch of coconut. Combination of peas, carrots, potatoes and green beans, this non-curry dish is prepared with tomato paste and fresh herbs and spices.